Creative Writing | Phil – Refuelled! Back in the summer of 2013, I began to write a serial story, which appeared on this blog in instalments. It was eventually finished in eighteen parts. I never expected it to be that long. It sort of warmed up, and ran away with me a bit. I rather enjoyed the exercise, to be honest. At the end of this post, I’ll give you a link to an explanation of how this story began. But first, there’s a small matter to clear up, namely, that this story never had a prologue. Now, real authors just about always put one in. I knew this, of course, so why didn’t I do the same? Well, there’s just one good reason why not, and here it is: until I got beyond part six, I had no idea of how the story was going to turn out. So there you are. Now, by and by, a prologue got written, and yet, so far, I’ve never published it. So, encouraged by a few prompts, here it is! Not all summer days are warm and sunny. This was one such exception. A cloudy, overcast afternoon had given way to a rainy evening; something like what a native of Donegal, they tell me, would term ‘a soft class of a day’. Those of less idyllic turn of phrase would simply, at this point, refer to rain coming down in stair-rods. Suddenly, he put down the hand-written sheets. As a puzzled frown crossed his face, he began to intently question her. Questions she could make no sense of. His erratic manner and tone, so foreign to him, frankly worried her. She had never seen him in this state, not ever. She grinned as he left the room, glancing out of the window as he did so. This was his stock reply when he meant he needed the toilet. But, instead of the the creaking of the stairs, she heard the rattle of the coat pegs of the hall stand, followed a few moments later by the click of the back door of the kitchen being opened, then shut with a bang. Her work-basket did not contradict her. So, there you are. Let me know (below) if that entices you to read any more. Of course if it does, you’ll need that link I promised you. So, here it is. I flatter myself to suggest that if you’ve come this far down the page, you just might even click on it. I’m linking this post to Friday Fiction at Nikki Young Writes. 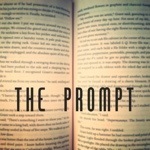 Also, because the scene in the text above represents a fleeting moment in my story as a whole, I’m linking with ‘The Prompt’ by Sara from mumturnedmom here. And here it is… At last, the final part of my little story that grew… You can start at the beginning here. It had been a warm, sunny, and, for Laura, a strenuous morning. Elizabeth and Philippa McGeogh were at last asleep again after a feed each. Prior to this, they had jointly and simultaneously appealed to the universe in regard of their perceived lack of nourishment. Feeling rather exhausted, Laura had just made a cup of tea and allowed herself the luxury of sitting down to drink it. Then she stood up again with a gasp, as the telephone rang. Now drinking lukewarm tea, Laura once again blessed the day she had married into the McGeoch family. The twins, complete with demountable pram and a varied assortment of baby-related sundry items, were now ensconced in the back of the Morris 1000 Traveller. Laura leaned back in the passenger seat, and very soon dozed off as Ross made his way to South Hills. On this sunny summer afternoon, he felt the luckiest man alive. As the close urban atmosphere gave place to country air, he wound down the window. Life was tiring, but good. Once some warm greetings had been exchanged, and the twins’ pram set up in a shady part of the lower back garden, Ross helped Archie to arrange the living room to the best advantage, and set bottles and glasses at the ready. They grinned as they heard the steady stream of non-stop chatter emanating from the kitchen. Ross looked up. “Too much gas about?” It was an old joke, but Archie’s favourite. “Look, Grandma Helen, there’s not much left to do. If I just put this cream on the trifle, would you check on the twins for me? Make sure Grandpa’s OK, though, as you go.” Laura knew that, put like that, Helen would need no second bidding. Sure enough, she paused only to finish her cup of tea, before entering the living room. The menfolk had done well, Helen thought. She was looking forward to a lovely evening. Ross was polishing glasses with a tea cloth. Archie was just emptying the vacuum-cleaner he had been using, in the small yard at the side of the cottage. Ross had been joking with him earlier about this method of cleaning. When it came to repartee, it would be a very smart fellow indeed who ever beat Archie McGeoch. “No comment.” Laura turned to give her husband a tantalising peck on the lips, before tackling a few bits of washing-up. In the meantime, Helen had stepped out through the French doors and onto the terrace at the back of the cottage, and now looked down into the lower part of the garden, lost in thought. Then, very deliberately, she walked across to where Archie had come round from the side yard. Without a word, she took his hand. Together, they descended the short flight of steps, and walked across to where Laura had carefully positioned the twins’ pram. At that moment, two peacock butterflies settled on the top blanket before returning to the buddleia, drawn by the heavy scent. Quietly and gently, Archie and Helen kissed, and then Archie’s eyes filled. Helen reached for the handkerchief in her sleeve, and dabbed her own eyes, before resting her hands on her husband’s shoulders. His face and body were now racked with unstoppable sobs. Lines of tears ran unheeded down Helen’s face. Ross and Laura had now finished the last details of the preparations they had been attending to, and went to join the others in the garden. As they took in the scene that met them, they stood quietly at the other side of the pram, holding hands very tightly. 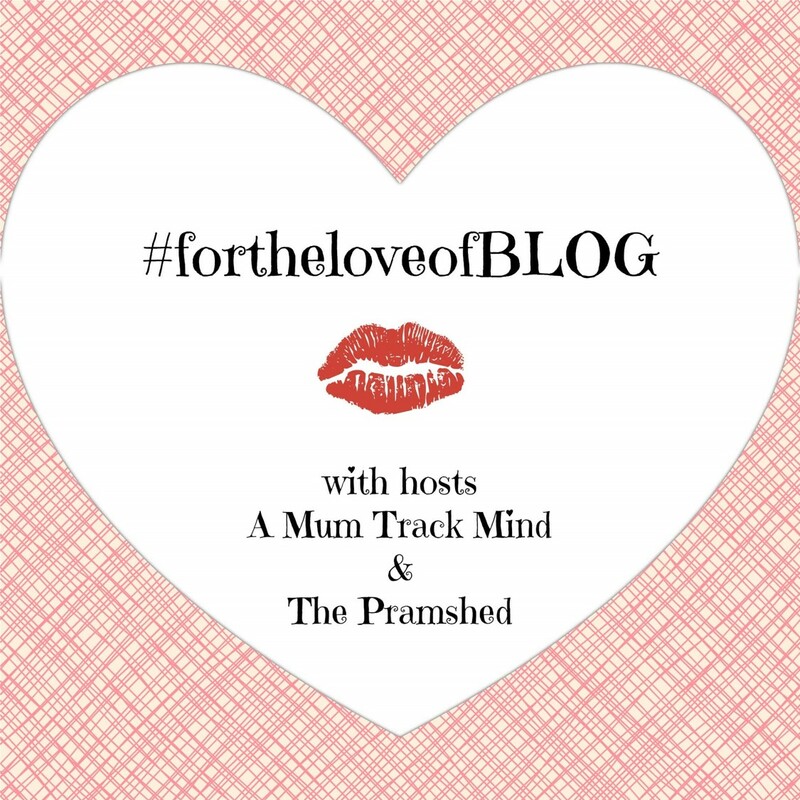 Then, as Laura looked into the pram at her children, she felt an overpowering surge of emotion; a tide of maternal love. As she turned her head slightly to look at her husband, Ross caught the smile that started in the corners of her eyes and spread over her whole face. The same smile that had first knocked him senseless. Still not a word was spoken. All the talking had already been done. It seemed that, just as the tears were streaming down the two older faces, so pain, grief, and sorrow were pouring out of their hearts, draining away to leave only inward joy behind. While the four watched as the pram blanket gently rose and fell, and listened to the gentle murmers of the sleeping pair, each knew what the other three were thinking. The circle of life was complete. At last, twin babies dozed, close by the butterfly tree. My story heads towards its close… but if you’re new to this piece of fiction, it’s best to start here. Alex Balfour, production director of Balfour, McAllen and Company (Engineering) Limited, looked down from the office walkway at the fabrication shop. The foreman, Ross McGeoch, was going from job to job, checking that everything was going as smoothly as humanly possible. That young man was a gem, Alex reflected. He blessed the day that his uncle, Robert McAllen, had taken him on as an apprentice after he’d done some summer holiday work for the firm, several years previously. He’d make a terrific project manager when Uncle Jo retired, he thought. As he watched for a few moments longer, though, it seemed that something wasn’t quite right this morning. Ross seemed to be… what? Sort of… jumpy. Bothered. He’d just fetched another drawing from the office. Oh, and it must have been the wrong one. Now he was frowning, and dashing off for something else. And so on it went. Not like him at all. Something wasn’t quite right. Alex decided that a friendly chat at coffee-time would be in order. If there was a way he could help, he’d try and get out of him what the trouble was, he thought, as he headed for the stairway. At ten fifteen, Ross made his way to the top offices. Alex had seen him earlier, and just said he’d like ‘a wee chat over a coffee.’ It was the the way Alex solved everything. On Friday morning, Ross and Laura made their way to the obstetrics and gynaecology department of the local hospital. Laura was just holding herself calm as she gave her name at the reception desk. Fortunately, the sister on duty that day was one of a growing new breed, who realised that setting people at ease went a long way in antenatal care. “Ah! Teamwork, I see. Always good.” She motioned towards the seats in an inner waiting area. Not all staff took this view, Laura knew. She sighed with relief. The sister looked at her notes. “Laura McGeoch, is it? Right. One of the ladies here will see you shortly. And then the prof will see you, too…” She rolled her eyes. “That’s when he appears. I’m sorry about this. I think us lot here are having a wee whip-round for a nice clock for him, as a retirement present. Only we’re no’ goin’ to wait for his retirement. We’re going to make it an alarm clock.” Ross and Laura grinned. Laura rejoined Ross to await Professor Munro’s arrival. In the bustle around him, Ross had tried unsuccessfully to read a magazine. He was glad to see that Laura looked a little more relaxed. After around half an hour, Laura was called away to see Mr Peter Munro. The Professor did only about as much as Gina had done. Finally he smiled. When Ross was called, he felt sick, and then relieved as he took in the smile of the consultant. He and Laura sat down in front of his desk. And then Peter Munro, a man with bushy eyebrows over clear grey-blue eyes, a mop of greying hair, and more letters after his name than in it, began a part of his job that he rather enjoyed. “Well, first of all, Mr and Mrs McGeoch, I must apologise to you if all this procedure has given you cause for alarm. I can imagine how you both may have felt over the last few days, having got one of the hospital’s standard letters without much explanation.” Clearing his throat, he went on. “However, I’m very glad to be able to say that, in your case, there is absolutely no need to worry any longer.” Noting the visible signs of relief on the two faces in front of him, he continued. “Very simply, we routinely do tests to look at the amount of a certain substance in the mother’s blood. If it’s higher than usual, it can mean there’s a problem. But in this case, there’s another factor we need to take into account.” He paused, savouring the moment. Ross looked puzzled, then broke in. The eighteenth and final part is now published here! And so the story continues. Once again, if you’re new to this little saga, it’s best to begin here. Archie and Helen now lived in an old, but cosy and refurbished, cottage in a village some fifteen miles out of the city. They had moved there after they had both finally retired from the shipyard and the hospital, having lived, to begin with, in the small town-house that had first belonged to Helen’s parents. When Ross reached the cottage by bicycle, on the Thursday evening after Laura had told him the story of her granny’s bequests, he hugged his step-grandma in greeting. When she had married Archie, she had been deeply conscious of the special place Jenny had had in the family, and didn’t want to presume to walk into their lives. Archie, on the other hand, had wanted her to be welcome and at ease. As Jenny had always been ‘Granny’ they had settled on ‘Grandma Helen’ which, everyone said, suited her fine. Over tea and biscuits, Ross explained slowly about how things were between him and Laura (as if I didna ken, thought Archie) and then Laura’s problem. Archie and Helen listened with interest, nodding, smiling, and then sighing as the story unfolded. Finally, Archie confirmed Ross’s thoughts. Ross finished his tea, had a look at what Archie and Helen had been doing to their little house and garden, and went home. After work the following night, he called to see Laura before she visited her auntie and uncle, that weekend. On the Sunday afternoon, Uncle Fred would take her to the nearest branch-line station, where she would get the last train home. She saw Ross only briefly, after both of them finished work, on Monday, but told Ross that her Auntie had listened to what she’d asked her, and would write down all she knew in a letter, then post it to her. “Well… At least we’ll all have made an effort, poppet. We’ll see what Grandpa makes of it.” Ross himself was rather dubious, but hadn’t the heart to say so. The promised letter came the following Monday. Laura passed it on to Ross that evening, and on the following evening, he made the journey to the cottage once again. The day had been dull and rainy at times, and further rain was likely, so he didn’t stay long at the cottage. After quick drink of orange squash, he started on his return journey, and, indeed, just reached home before the skies opened again. When Ross got home from work on Thursday, a letter was waiting for him. It was from Archie, and very short. tea on Saturday? We’d love to see her again, anyway. Saturday dawned fine and warm. As Laura now had a bicycle of her own, she and Ross decided to cycle to the cottage together instead of taking the bus. It would give them an appetite for tea, which, Ross said, they would need. When Helen had given them drinks and biscuits, Archie first took Ross outside. “We’ll talk the serious stuff in a few minutes. I just want to show you something, before I forget.” Leaving Laura and Helen together, Archie led Ross to the small yard that was covered by a lean-to roof, supported on the cottage side by metal brackets, which were badly rusted. “I was wondering, laddie, do you think you could get some fresh ones made, at your firm?” Ross was sure that he could, and together, they measured the brackets before returning inside. As they sat down in the living room, Laura seemed a bit upset, Ross thought. O well, if so, she would tell him later. Archie dipped into his pocket, and placed a small, battered, fibreboard box on the coffee table in front of him, opening it as he did so. Laura and Ross gasped in unison. A beautiful diamond, flanked by two vivid pink sapphires, flashed up at them from a gold ring. Helen held Laura as she slumped backwards. Ross’s face became a puzzled frown. The young couple’s faces made a picture no artist could ever aspire to producing. Laura took Ross’s hand and led him into the garden. She leant against his chest, sobbing, and gasping for breath. Ross held her, gently patting her back as if she were a baby. Finally, he asked her what the matter was. Ross’s eyes were filling, now. Their faces closed on each other. After a lovely meal, Laura felt better. Ross, of course, now realised that the discussion about the lean-to had been a ploy to leave Laura and Helen alone together. Wise, kind old grandpa. Now, he led Laura outside again. They had offered to help wash up, but Archie and Helen had told them to take time together. Wise again, thought Ross. They were standing within sight and scent of the buddleia in the cottage garden. This was the moment Laura had been longing for. With great difficulty, the steeled herself. It was time for two blissfully happy young people to cycle home. But before they left, Archie had one more question. Had had agreed to keep the gas-mask case and the rest of the papers, for the time being, but he showed one very small one to Laura, that had been enclosed with the ring. It carried only the words ‘To E.M.E. From A.R.B. 22 March 1920’. Laura frowned, screwing up her eyes in thought. Part seventeen is now published here! OK, so it’s been a while. But what better time to release a bit more of this treacle-tin serial than Valentine’s Weekend? And once again, if you’re new to this little effort, it’s best to begin here. “Just look at that!” Ross was awestruck. The young couple gasped as seagulls soared, turned and dived in the sea breeze, the sky full of a non-stop display of aerobatics. Ross cut her off with a kiss as she began to blush, and she squeezed his hand. He would have taken her to the pictures or dancing more often, if she had cared for that. But she loved walks at the coast more than anything else, after the first time Ross had offered and they had taken a bus trip one Saturday. They had done the same this time; Laura had made a packed lunch for them and Ross had bought lemonade and some sweets and chocolate for the journey. They often joked about Laura being a cheap date. “Told you before about that, poppet. Nothing cheap about you. Just not expensive to keep…” And so the lovers’ banter would go on. They fell silent as they walked on down the cliff path to another vantage point, where they sat on a wooden bench and finished the last of their lunch. The breeze brought with it the tang of salt spray. Arms at each other’s backs, they gazed into the distance, to the outlines of the islands westward. After a few minutes, Ross felt the weight of Laura’s head falling against his shoulder. As he caught the clean smell of her hair shampoo, he saw that her eyes had closed. He was thoughtful as she dozed. He knew that her working week tired her out; she left her cousin’s house at seven every morning in order to be in time for work. She was home by six, if she was lucky, and her bus ran to time. And yet, as he held her close, it somehow felt so right. He waited until she woke with a start. Laura recognised the mischief in the way Ross left the suggestion hanging. She tolerated this for three and a half seconds. “Out with it, then, ye wee terror!” As a general rule, the more excited or impatient she got, the more her mild-mannered parlance would metamorphose into the vernacular. Ross , at just over five feet ten tall compared with Laura’s five foot three, and (on Laura’s own admission to her aunt and her cousin) gentle as a lamb, would probably always be her ‘wee terror’. There. He’d said it. Words he’d wondered for ages just how they would come out. And as it happened, words that Laura wanted to hear, yet dreaded. There was nothing for it; she would have to face him out, right now. “Ross, sweetheart… There’s something I need to talk about.” It came out in a sudden rush. Help. Girls. How could you ever understand them? Understand this one, anyway? “Ooh, am I really?” It was Laura’s turn at mock seriousness before Ross caught the look in her eyes. “Well, it’s like this. I knew you’d want to do… what you just said. Sometime. But, you know that first time you came with me to Auntie Kath’s, and you noticed Sarah’s wedding photo? This was making less sense than ever. Laura’s reply wasn’t given in words. Part sixteen is now published here. The story continues… You can start here for an introduction and a link to the beginning. “Trigonometry and vectors, that’s what, O excellent mother. Yesterday’s double lesson with Racecourse Ron.” Ronald Wetherby was a Yorkshireman, design engineer turned lecturer, who had settled down further North some years before. “Ross, your sister is in the room.” Muriel tried to sound reproving. She found herself looking into a pair of piercing blue eyes that were like a carbon copy of those that had melted her like candle wax, some twenty years previously. She failed. Ross put on a breathy, ‘little boy’ voice. Leslie was away, on duty. Family meant everything to Muriel. Inwardly, she was now close to tears. Janet, writing in an exercise book at the other side of the table, appeared to be outwardly close to suffocation. After an hour or so, during which Janet had finished an essay with apparently little effort (a born story-teller, Ross always said) and Muriel’s knitting had lengthened by several inches, Ross closed his books for the night. “Yes, O fairly excellent son…?” There was such a thing as repartee, Muriel thought. Ross rounded the table in five strides, and pinioned his sister against the wall with her hands behind her back. Janet squealed. As her brother let her go, she ran upstairs to bed, helpless with giggles. Ross went to the kitchen. The question broke into Muriel’s pensive mood. She wiped her eyes on her sleeve before she could reply to someone who reminded her very much of Group Captain Leslie McGeoch. Ross’s ordeal wasn’t as severe as Laura had made out that it would be. Uncle Fred was an aero engine fitter, and enjoyed talking engineering with Ross. And Auntie Kath was all right, Ross thought. She had a friendly kind of gruffness that he could cope with. He soon realised that both of them had been like a wonderful mum and dad to Laura, and had treated her the same as their own daughter, Sarah. “No more kids came along,” Kath remarked, as they were clearing up after tea, “but we had Laura.” She gave her niece an affectionate squeeze round the waist. After helping her aunt, Laura showed Ross an album of photos of her cousin’s wedding. She joked that he might as well see who he’d have to meet next. Sarah and Jeffrey looked a striking pair, Ross thought. A stunning head-and-shoulders portrait of the bride bore a certain resemblance to Laura, he mused. A beautiful delicate necklace hung round her neck. Her aunt smiled, then looked very intently at Laura for several seconds without speaking. Then, dropping her voice almost to a hiss, she replied. Part fifteen is now published here. For the new year comes the next part of my story, the first one in the third and final section. If you haven’t read the previous instalments, then please go here to read about how this little effort began, and then follow the links. It was Ross McGeoch’s first ‘day release’ Tuesday. Instead of heading to the metalwork and engineering firm where he was now an apprentice, he had headed into the city, to the new technical college so symbolic of post-war Britain. All kinds of work-related subjects were taught to young people, under one roof. The local bus company even put on special college services. The morning had been full of getting to know the place, finding classrooms, meeting tutors, and generally getting a feel for college life. A kind of life that seemed good to Ross. You were on your honour much more than in school. He was determined to show everyone that he could, and would, take it seriously. He’d done well at school, and the head, and everyone else, had expected that he’d enter the sixth form. But Ross had been adamant. He wanted an apprenticeship with the firm he’d done ‘holiday work’ for, and to study engineering at college. And so far, this had worked out. The three girls were obviously new to the place, like he was, Ross thought. Then, as they walked by to find a table, the one bringing up the rear looked around her. Catching sight of Ross, she smiled for a moment before walking on. A fraction of a second that blew Ross McGeoch’s mind. As he made his way to the first afternoon lesson, he realised he had a problem. College, he could cope with. Lessons, he could cope with. Walking up to a girl he’d only just half-met, to ask her out, he struggled with. Especially if she was, in his estimation, the most beautiful girl in the world. It was a Tuesday late in November when the whole area was blanketed in thick freezing fog. As students returned to lessons after the college lunch break, an announcement was relayed to each classroom. The bus company had telephoned to advise the college that no special services, and few general ones, were now expected to run that afternoon. The principal had decided to end the teaching day after the first afternoon lesson. All students were advised to make their way home as best they could. At two-twenty, Ross fastened his coat and slung his haversack onto his shoulders, then made for the main exit. As he pushed his way through the swing doors, a silhouette came into view ahead of him. As he stepped forward, it became clear that this was another student, preparing, no doubt, for a long walk. It turned out that she lived about a mile from Ross’s own home. Falteringly, he suggested “We could walk together, if you like…?” When she readily accepted, his heart leapt. Laura had been orphaned in the war. Her father was killed in action, her mother in an air-raid. Thankfully, her aunt had taken her in and treated her like another daughter, Her cousin, Sarah, was twenty-two and married. As her aunt and uncle’s home was in a village some miles outside the city, and a long way from Laura’s work and college, her cousin had recently offered her a home. She still saw her Auntie Katherine and Uncle Fred quite often. “Sorry I’m so nosey,” Ross cut in. “I didn’t want you to talk about stuff you’d rather not.” He thought about what it would be like to hardly know anything about his own mother, and suddenly felt awkward for asking so much. There. He’d said it. He waited. Laura’s voice was almost a whisper in the fog. They agreed to meet the following Saturday, and go to watch a film. But, as she walked through the gate of Sara’s house, Laura realised that it wasn’t really the prospect of a good film that mattered to her. You can now read part fourteen here. My story continues… For a brief introduction and a link to the beginning, go here. It was eight o’clock on a blustery evening in late November. Sister Helen Anderson switched off the main lights. Annie Fraser and Evie Jamieson were quietly moving between beds and cots, taking pulses, listening out for cries of pain, alert for signs of dangerous fever or any other crises among their young charges. It would be a long night. Many diseases of childhood could still be fatal; the right nursing could save a young life. As Annie and Evie worked out on the ward, Helen sat in the office, checking reports and other paperwork left by the day shift, working by the light of her reading lamp. Then, satisfied, she quietly joined the two dedicated young women at their duties. The night wore on. The coordination was almost uncanny. Little needed to be said, just a few words of counsel, now and then, would pass between Helen and the other two. She made them take it in turns to have short breaks, making sure they had drinks and a bite to eat. Back on the ward, she looked around, taking fresh note of the condition of the more seriously ill children, then returned to the office to make her own notes for the day shift. She made one last tour of the ward, then beckoned to Evie and Annie with a nod. With the dawn came more wind and rain. The two younger women were waiting in the lobby of the staff entrance as Helen met them. The other two looked up questioningly in response. The two young women gasped, and then visibly rocked. Annie’s eyes seemed to grow stalks. For once, she was dumb. For several seconds, the scene was reminiscent of an old silent movie; the picture was striking. Annie’s lips began to move, but the sound just didn’t come. Annie just nodded. Helen looked into the faces of the other two with appreciation. “Thank you, both. And, er, off duty, it’s ‘Helen’. OK? Now, George was well-known for his skills at such things as setting up wireless sets, or checking and testing accumulators. Generous by nature, he was sometimes unfairly taken advantage of, but rarely declined to help. And, anyway, he’d have done anything for Archie. He began to imagine what his friend might want. This part is the end of section two of the whole story. I never expected to get this far. That’s why it’s a magic moment for me. The content of this part also has a magic moment in it. 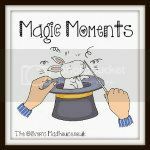 So I’m linking up with this week’s ‘Magic Moments’ hosted by Jaime at The Oliver’s Madhouse. Oh, and… To Helen at All at Sea… Thanks again! Now that Archie had been back at work for several days, everyone who knew him – from the apprentices who had sometimes borne the brunt of his recent morose state, to the shipyard managers – could hardly fail to notice his new lightness of mood and general good humour. Some put this down to the enforced period of rest he’d had, even suggesting that the accident had been a blessing in disguise. Others, perhaps facetiously, suggested that the bang on the head that he’d sustained had actually put something right in his brain. All of them welcomed the change, however. Archie would nod, even smile, as he passed those he knew. He’d even joined a few mates one evening for a drink at a nearby pub. And then it hit him. The heady scent of buddleia, still in flower. Just by a low brick wall at the edge of a path, a few remaining blooms trembled slightly in the gentle breeze. He walked over, once again lost in all kinds of thoughts, as he had been on that day over two years before. And then, for the second time in only a month or so, he found himself roused from his swirling thoughts by a voice he knew. “It’s been beautiful, this year. I… Oh…! As Archie turned to face the speaker, Helen jumped as she recognised him. In a tiny, but clean and cosy, side-street café nearby, Archie talked of how losing Jenny had made him think back over his life so many times. He talked about his flying days in France, about what he’d seen of war, first hand. It occurred to him that he’d never talked to anyone like this before. It was as if some massive knot inside his mind was slowly coming undone. As he paused now and then, to ponder, Helen gently replied with accounts of her own experiences as a young army nurse during the same years. At length, it was time for the café to close. As they left, the evening air struck cooler. They walked together to the tram stop, still talking, but about life as it was now, right up to date. It never occurred to either of them to think that there was anything at all odd about how this chance meeting had gone. Sharing the twists and turns of a curious web of life, how Helen had cared for her own parents until they both passed away, how Archie had got back into work after leaving the army, when so many other men had been left on the streets… and then they both stood silent for a few moments. “I was wondering… Could we have another chat like this, some time? Maybe go for a walk someplace, if you get a day off… A Sunday, mebbes…? Archie looked hopefully into Helen’s face. He almost jumped as he saw the characteristic smile that started in the corners of her eyes. As they heard the hissing and clanking of the tram in the distance, Archie and Helen arranged where to meet, in eight days’ time. Archie turned up his jacket collar as he headed home. He was tired, but easier in his mind than he’d been for some time. And then he realised: it had been a very long time indeed. And meanwhile, a very thoughtful middle-aged nursing sister was going home on a tram, dabbing her eyes. You can read part twelve here. 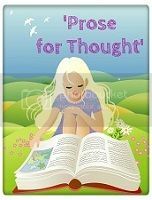 ‘Prose for Thought’ hosted by Vicky at ‘Verily, Victoria Vocalises’. It’s no use protesting: Summer is now over. 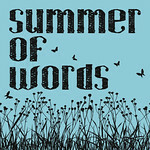 But, for me, the inspiration of Summer of Words as started by Helen, who blogs at All At Sea continues. After a long pause, necessitated by everyday pressures, my story continues. If you’re new to my story, you can begin here. It was just two years since Jenny had been taken to hospital. In the world around, many changes were happening. America had entered the war with a vengeance – literally. In medicine, the widespread use of penicillin was just emerging like a chicken hatching from an egg. The relief of Malta had been a great morale booster for the allies. What, sadly, hadn’t changed was the morose state of Archie McGeoch. Just about everyone who new Archie said that things couldn’t stay like this for ever. Something had to happen, they said, although none of them cared to venture just what it might be. Many hoped and prayed that he wouldn’t injure himself through carelessness with sharp tools, of which, of course, he used plenty, or get hit by a tram or other vehicle as a result of not looking where he was going. The collective prophecy was finally fulfilled one busy morning, when the vessel Archie was working on was almost complete. Senior men like himself, George Baird, and several more were making dozens of last-minute checks and adjustments, and he’d slept badly the night before. As he climbed a stairway rather fast, he lost his footing and fell, hitting his head on a section of guard-rail with a sickening thud. Another carpenter caught him as he fell backwards, unconscious. A slight graze belied the seriousness of the injury; as help was sent for, Archie drifted between one black-out and the next, and was very sick. He was stretchered to the main entrance to the yard, and from there, an ambulance took him to hospital. Once admitted, he was kept under observation for severe concussion; he was still drifting in and out of consciousness, and very confused. Then he would sleep for hours at a time. When fully awake, he had no memory of what had happened to him. X-ray pictures revealed a hairline crack in his skull; doctors anxiously checked for any signs of permanent brain damage. Sometimes he would wake suddenly, and call out, usually something to do with the ship he’d been working on. Back at the shipyard, workmates waited anxiously for news. As next-of-kin, Muriel had, of course, been advised, and a message was sent to Leslie, who was once again given compassionate leave, and began a long journey home. Thankfully, after two days, Archie’s condition seemed to improve. He could eat and drink a little, by himself, and make his way, with help, across the ward to the bathroom; he just seemed to be extremely tired, still sleeping for long periods. Muriel was able to see him for a few minutes, and he seemed to cheer up considerably, asking at once about his grandson. He was thrilled, too, to see his own son in his RAF uniform – Leslie was now a wing commander – the next day. Again, they talked for just a few minutes. It was the end of his fourth day in hospital. The usual bustle of the nurses’ shift change began. Archie closed his eyes, falling into a pensive mood. Then after a few minutes, a gentle, but clear, female voice near him roused him with a jolt. And so was Archie’s black mood. He slept soundly through the night, and woke up eager for breakfast. You can now read part eleven here.